So after a quick depressing post this morning, I thought I’d add a quick exciting post. 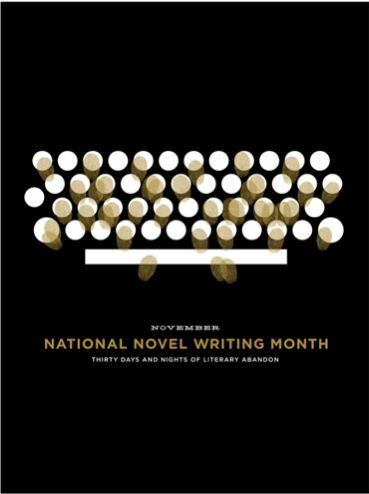 I haven’t updated on my NaNoWriMo progress as much as I would have thought because I’ve been a little bit embarrassed by my writing output. I didn’t want anyone to think I was bragging or that I was working any harder than another NaNo writer. Believe it or not, I’m almost done with my book! I have 4611 words left! There are about 3 chapters left in the story so I think I will go over the 50k. The book that I’ve written so far is a chick lit type romance novel about a girl who hates her job and meets a great guy along the way who helps her deal with her icy manager. Along the way there are revelations, frustrations and a panic attack (which I was so proud of writing). I actually think the romance is pretty good especially for a girl like me who has had so little experience. Well, since I have finished so quickly I will definitely have time to edit the heck out of it and make it great (or as great as it could be) and submit it. (Which I’m not sure exactly how submit it but I want to?). Anyway, I was talking to my trainer Ben yesterday about the story and he said ‘you shouldn’t add too much fiction because your story alone is super compelling’. It made me think. I wonder if there is enough in my actual life to create a compelling story without all the romance and fiction? I’d like to think my life is interesting enough to tell a compelling story. Would be pretty depressing if it isn’t. So the idea struck me- why don’t I do 2 versions of this story. One will be the romanticized, lighter fiction version, and one will be the real, nitty-gritty version of how it actually happened. I will probably only be able to show that version to a select few as it may be too real but the idea of writing it excites me! I’ve practically done that version already here on this blog but never in a concise story format. I can use a lot of what I’ve already written as inspiration for the real-life novel but I’m starting from scratch. It’s going to be awesome! I’m shocked at how much I like to write fiction. I’ve always been a good paper writer and essayist but have not attempted fiction writing in my adult life. And never in a million years did I think I could write 50k in just over one week. Wowzers…. So to 2 versions of the same book! And yes, I’m crazy but I love it!! Which one do you think will be better? Are you going to try to finish the second one this month as well? So may not finish real version by end of month. Finding it much more difficult which surprises me. Luckily I don’t have to. I’m finding it such a rewarding, exciting experience that I figure why not? Although, I think I will be hard pressed to fill up 50,000 words without any dramatization, just my real life but maybe I’ll surprise myself. That’d be cool.